There is a growing trend in website’s offering cheap logo’s by, so-called, “designers” for extremely low prices. Some are even as low as $5 for a logo. If you are a new business, and your budget for a Logo Design is only $5 – I’m here to tell you that you are not going to last long in whatever industry you are seeking to join. You can paint the house yourself. There’s a problem with this option, however. The problem is you don’t have the proper equipment or experience to do so. Another option to consider is that you can easily hire your 12 year old neighbor to paint it for you. Like the first option, this one has a significant issue behind it, too. The issue is he is going to go buy some spray paint and do a terrible job that wouldn’t make a dumpster look good. Lastly, you can hire a professional painting company to do it for you. There aren’t many issues here. They may cost more than the first two options – but I’m going to explain why this is the optimal choice for the task at hand. They have the experience, equipment, and are going to ask you how you want it painted, what color, and they are going to do a great job in executing the project. If you had decided to paint it yourself, or have your 12 year old neighbor do it, it is going to look terrible. Just think of all the cars that drive by and see your house, they would immediately say, “Look at that ugly thing, I hope I don’t run into the guy who lives there.” Your neighbors won’t be happy either, in fact, they probably despise your very existence. Some would even go as far as contacting the HOA to have you removed from the neighborhood. Your guests, your friends, family – everyone who comes into your house, will immediately judge you based on your terrible paint job and likely gets out of it as soon as they possibly can, if they even come over. If your house looks ugly on the outside, they assume its just as bad on the inside and owned by a psychopath. Your Business Logo is the home that you live in. If you have a terrible, cheap, $5 logo – Nobody likes you, nobody wants to see what you have to offer, and anyone that does check you out is already making their way out the door… All because of your terrible logo. 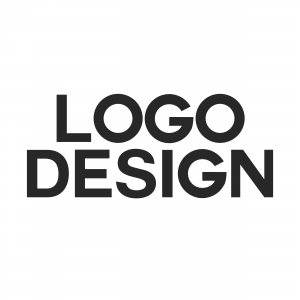 This is why people that are serious about doing business, pay design companies hundreds, thousands and even hundreds-of-thousands of dollars logo design. Your logo says so much about your business, and in a world where we judge things immediately on their appearances – it can make or break you as an organization. Moral of the story: Do not pay your 12 year old neighbor to paint your house, and do not pay a fake graphic designer $5 to do your business logo design. You will be exiled from society for doing either one.